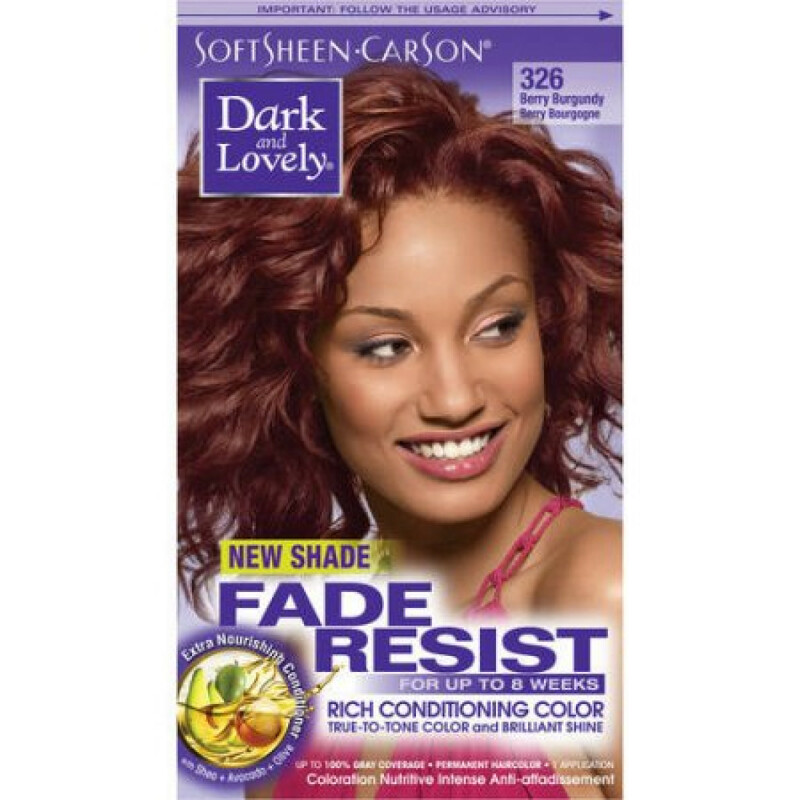 SoftSheen-Carson Dark and Lovely Fade Resist Rich Conditioning ColorFade-Resistant Rich Conditioning Color is an innovative formula that delivers vibrant, fade-resistant color and shine. 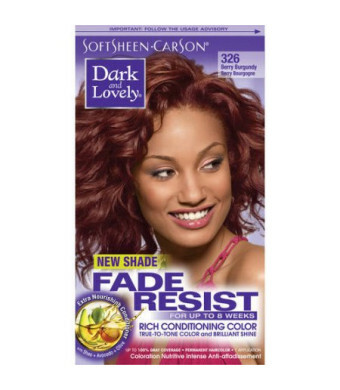 This formula contains Dark and Lovely's exclusive Moisture Seal technology for double the conditioning power especially designed to help protect relaxed and natural hair while coloring. The result is silky, shiny hair and luxurious, rich color.